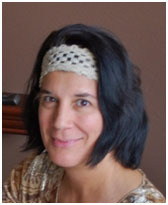 Mira brings years of experience in both eastern and western massage modalities. Her studies in the healing arts and Ayurveda began over 20 years ago at Shoshoni Yoga Retreat, where she lived and served for many years. A graduate of the Colorado School of Healing Arts, she has completed numerous trainings at the Ayurvedic Institute, and has been certified as an Ayurvedic Lifestyle Educator through the Vedic Institute. She is also a certified Yoga Instructor with 500 hours of training from the Shambhava School of Yoga. Mira brings an intuitive, integrative approach to each massage session, and believes in the healing power of conscious touch. A warm oil massage which balances the doshas and supports the movement of blood, lymph, and prana. Grounding, calming and nourishing. A balancing massage which focuses on the vital Ayurvedic energy points known as marma points. Steam therapy with herbs or essential oils. Detoxifies, clarifies, eases muscular aches and pains. A continuous stream of warm herbal oil pours on the forehead and crown. Deeply balancing to the mind and nervous system. An exfoliation massage with dry silk gloves. Stimulates lymph, cleanses and softens skin. Head neck and shoulder massage and warm face compresses followed by herbalized nasal drops. Helps with sinus congestion, headeaches, insomnia. A cleansing and soothing ghee bath for the eyes. A penetrating, soothing, herbal oil bath for the back. Helps low back pain and sciatica. Medically supervised Ayurvedic cleanse to regain health and balance. Three hours of treatments daily for three, five, or seven days. Classical full body massage to reduce stress, ease muscular pain, improve range of motion, and support the flow of blood and lymph. A deeper massage utilizing various techniques such as cross fiber, trigger points, and fascial strokes. Targets the deeper connective tissue layers and focuses on key areas of pain and tension. A Swedish style massage suited to the needs of the athlete to maintain/improve conditioning, prevent injury, and speed recovery time. Mira’s specialty! An intuitive, integrative flow of Swedish, Deep Tissue, and Ayurvedic principles to restore ease in body and mind. Also known as ‘Shilabhyanga’, a warm oil massage with heated basalt stones to ease muscular pain, reduce stress, and deeply ground. Stones are used as massage tools and also placed on key areas. A relaxing and soothing Swedish style massage suited to the particular needs of the expectant mother. Plenty of pillows for side lying support.